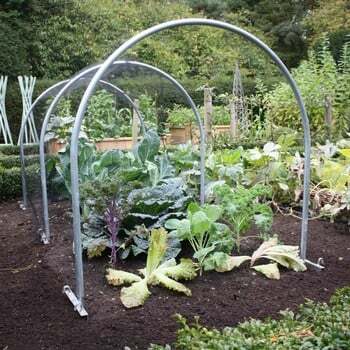 Harrod Steel Hoops are made from 19mm galvanised tubular steel, come with a 10 year guarantee and are ideal for creating cloche tunnels, simply cover the plant hoops with your choice of garden netting to protect your crops and increase yields. 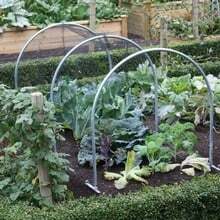 Save up to £12 on Hoop Multipacks! Designed and manufactured by us in the UK, the hoops are ideal for creating cloches, small poly tunnels and giving plenty of growing height (over 1m in the case of the larger hoops). Available in five sizes which will span raised beds or plant rows as small as 48cm/19" wide right up to 168cm/66". 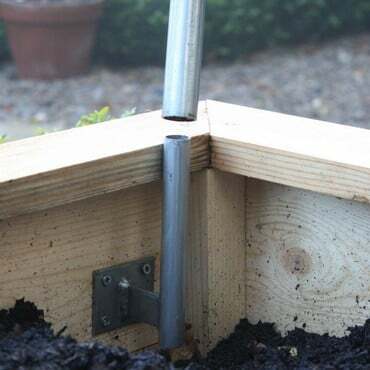 We also offer mounting brackets (available separately) to use the hoops in raised beds above the soil or simply push the hoop straight into the ground. 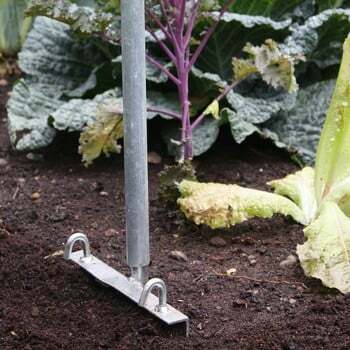 If additional and rigid support is required (it might be windy at the allotment), turn to our heavy-duty steel ground anchors (available separately). 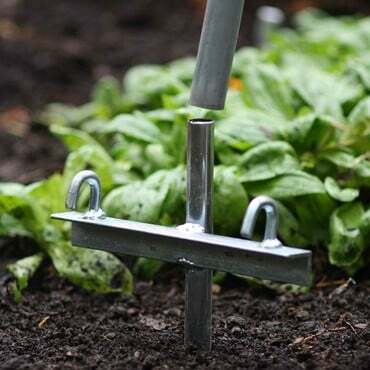 Anchors are supplied in sets of 2 (for a single hoop), 6 (for 3 hoops) and 12 (for 6 hoops). 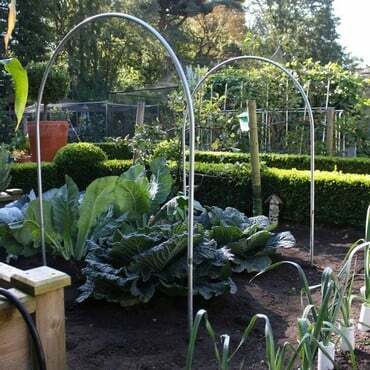 Our new Hoop Linking Rods have been designed to add extra rigidity, clipping easily to the hoops and also to add additional support for netting when creating a cloche tunnel. 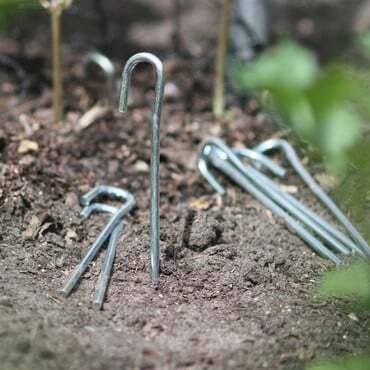 Enjoy savings up to £12 with our Extra Value Hoop Packs - all sizes of hoops are available individually or in sets of 3 and 6 - Ground Anchors (Available Separately) are sold in pairs or packs of 6 and packs of 12. I bought some hoops for my allotment. The website showed all the dimensions and identified extensions. Also, the depth in the soil of the hoops.This enabled me to work out whether they would be suitable for the areas I have earmarked for different crops on my plot. All were delivered to my home with no problems. 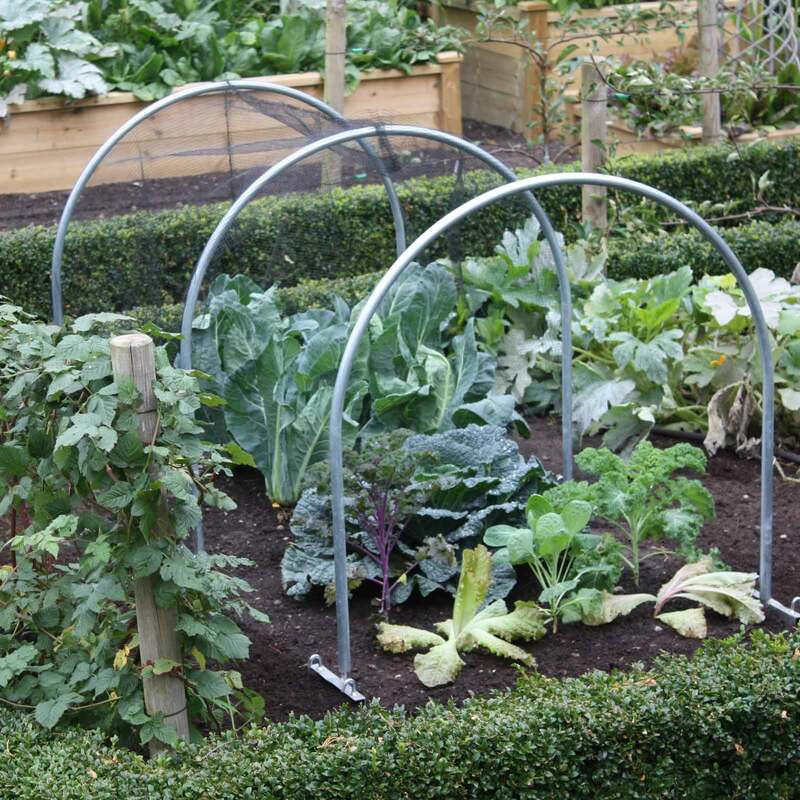 The hoops are already being used on my brassicas and are brilliant. I bought a pack of 3 hoops a couple of years ago and find them so useful I have just bought more. 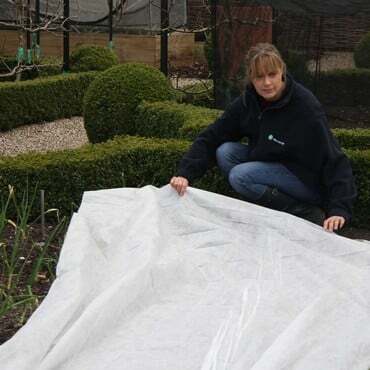 I move them around my raised beds as needed: to protect seedbeds from cats, strawberries from birds etc. 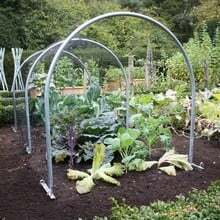 Am considering using them as supports for squashes/ cucumbers next year. Goods arrived on time and in perfect order. 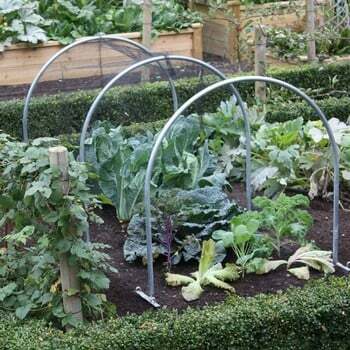 The hoops were easy to fit and I hope will keep visiting pheasants away from my veg! Here are a few pointers to guide you through the process of deciding which hoops and size of netting you will require to create your own protected crop-growing environment! 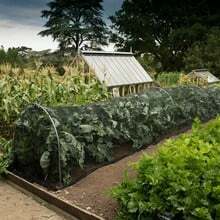 This is a good system for covering a large area. 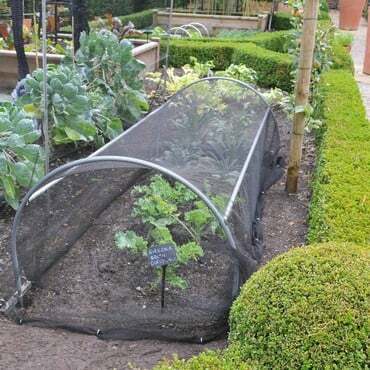 There is flexibility in the size of the cloche through positioning of the hoops. Hoops come in a range of sizes and you can buy extensions to raise the hoops up higher. 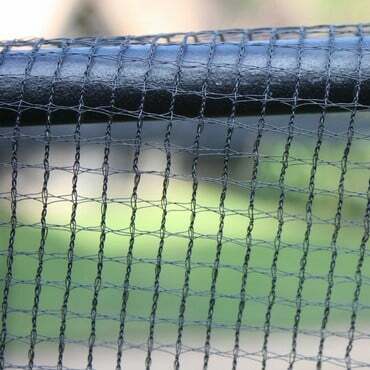 Insect netting comes in different lengths to suit your needs. 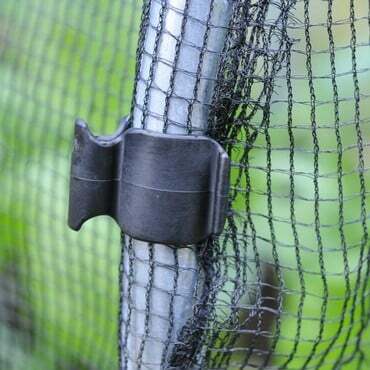 The pegs do tend to put holes in the netting but clips and pegs keep the cloche firmly in place.